Our Leader-In-Training (LIT) program for teens aged 13-16 builds leadership skills that they’ll use throughout their lives to help themselves and others identify and achieve goals. This program is offered at all five YMCA of Southern Maine camps. 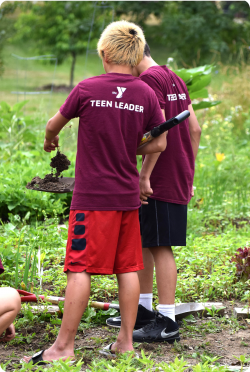 Each three-week session gives teens the chance to gain valuable knowledge through the Y’s skill-based, leadership training process, while building confidence by helping others. We help young people figure out what good leaders do and say. We give teens lots of opportunities to practice doing and saying these things. All LIT campers will have the opportunity to improve their counseling skills by working with groups of kids throughout the summer. We understand that many parents need a safe, enriching place for their children outside of regular camp hours (9:00 am - 4:00 pm). Extended care is provided at no additional charge each day from 7:30 - 9:00am and 4:00 - 5:30pm. $385 per three-week session, per child, $50 due at registration. Note: All camps closed July 4th. Register by May 1, receive $10 off each three-week session. Register by June 1 for all three LIT sessions, receive $10 off each session. Weekly fees reduced by $10 per session per child for each and every subsequent child from the same family attending the same camp session.